9:45pm Beautiful weather. Same wonderful breakfast as yesterday with that delicious coffee in soup bowls. I could catch on to that, but the people in the states might think it’s funny. It’s time to leave, first made sure I took my Dramamine. 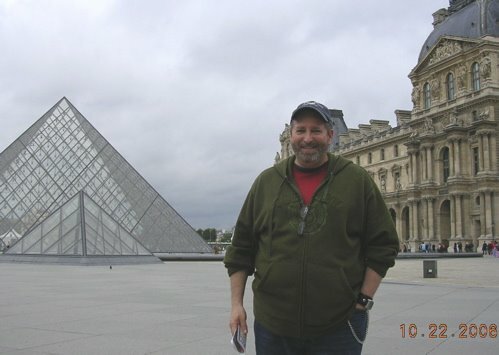 Going to the mountainous region of Vercors Nature Park, bordered by 180 miles of cliffs on the very edge of the Alps. Vercors makes up for 65% of the world’s supply of walnuts… hence the nickname “Valley of the Walnuts”. The ride today gave new meaning to the words curved roads. Double dose the Dramamine. 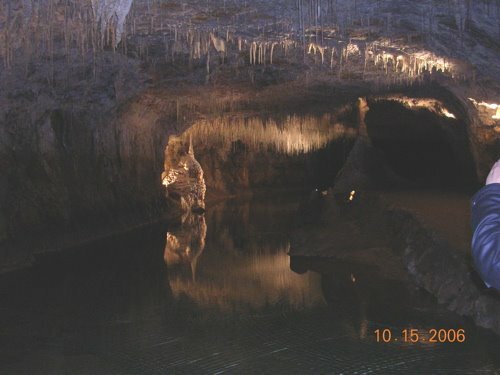 The water has carved deep gorges and caverns amongst the most famous in Europe. 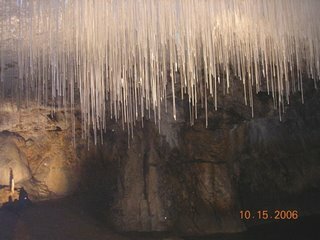 We visited the Choranche cave famous for it tubular stalactites. Prehistoric men lived here some 70,000 years ago. One of the biggest caves in the Vercors totaling about 20 miles. Inside we saw the Siphon gallery to view these tubular stalactites known as soda straws. Thousands of straws only 4 millmetres (very small) in diameter made of calcite – crystalline limestone or calcium carbonate. They have been growing at the rate of 5 centimetres a century for thousands of years and the longest now measures 3 metres. We went to the 16th century village Pont-en-Royans for lunch. The houses here are suspended in the steep cliff walls over the river. I had ravioli with le creme de roqufort, (a creamy blue cheese sauce). We found an internet café there so we stopped for a while to catch up on emails, strange bringing the normalcy of computing to this so very European village that I could comfortably live in. When we arrived at the country house the day so so clear we saw Mont Blanc in the distance. We all stood silent just gawking in amazement at this breathtaking site. The mountain was white capped and overpowered anything near it. We are going there on Friday. Before dinner we had raspberry cassis with white wine and munched on baked, walnut topped quince with honey. For dinner tonight we had ravioli (again with the ravioli!) cooked with gruyere cheese in a single serving soufflé bowl topped with walnuts. 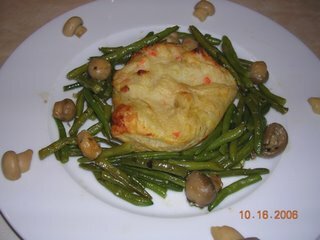 Our next dish was a vegetable pate cooked in a flaky filo dough pastry served on top of grilled green beans with marinated mushrooms. Next was the famous cheese plate that we all looked forward to, followed by the most creamy, smooth pudding in the raspberry cake, topped with fresh le crème and marzipan flowers. All of us sat for more than an hour after dinner talking, chatting, enjoying each others company. How heartwarming. Tomorrow we are off to Provencale.